This AT&T Microcell is built by Cisco Systems, a leader in cellular network technology. It can provide up to 5 bars of AT&T cell signal to your 3G and 4G mobile phones (including iPhone, Android, Windows Phone, Blackberry, etc). Setup is quick and easy - just follow the 10-minute setup in the included "quick-start" guide and it will be up and running typically within 2 hours of setup. Note that this device requires internet connectivity through a wired Ethernet connection (cable is included). 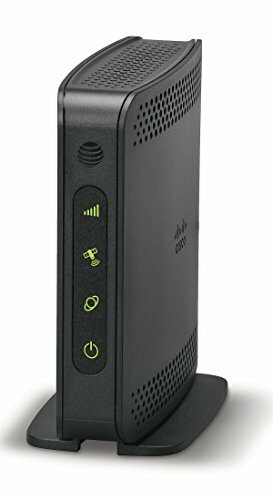 Most wired and wireless routers include 4 or more of these ports. Also requires installation close enough to a window to receive GPS signals for use during emergency (911) calls. Highly secure device that cannot be accessed by unauthorized users. Supports up to four voice or data users simultaneously. Supports voice and 3G data for 3G/4G/LTE mobile phones, including iPhone, Android, Windows Phone, Blackberry, etc.